For nearly four decades, Mobile Suit Gundam has defined the giant robot genre, and anime in general. As much an examination of war as a simple action series, Gundam can be intimidating for new viewers... but it doesn’t have to be. Welcome back to the io9 Guide series, where we take an introductory but comprehensive look at the most important universes of science fiction and fantasy. These guides are aimed at lay-people in search of a quick refresher, as well as seasoned fans who want to debate the meaning and essential knowledge of a subject. The Gundam franchise—or to give it its full name, Mobile Suit Gundam—is a long-running science-fiction anime originally created by Yoshiyuki Tomino. The series follows the action-packed adventures of the people who pilot Gundams. These massive mecha are usually the most technologically advanced robots in a world where militaries thrive, thanks to the development of pilotable weapons platforms called Mobile Suits. But what makes Gundam stand out so much, and what helped it revolutionize anime, was its realistic approach to the idea of giant robots fighting each other. Up until Mobile Suit Gundam’s debut, Japanese media largely treated giant robots as sort of superhero figures, strictly for younger audiences. But the arrival of Gundam, as well as other robot anime like Macross (eventually known as Robotech in the West), helped transform the image of giant robots in the media into a vehicle for more serious, militaristic drama. And that, in turn, transformed it into one of the most popular genres of anime today. But despite the pure joy of the idea of militarized Mecha doing battle, Gundam is about much more than crazily high-tech giant robots beating each other up. Each Gundam series, loosely connected but largely spread out across several different timelines, is as much about its cast of human characters, from those who pilot the several mechs, to politicians and military officers, to civilians caught up in the conflict—and how war and politics can affect all of them. Gundam frequently deals with geopolitics, racism, and even environmental issues, usually through the lens of wars between the forces of a unified Earth and several space colonies. As a war drama, Gundam also rarely finds itself with clear divides between good and bad sides, with many protagonists occupying moral grey areas and heroic characters being among the seemingly “bad” opponents. The series’ vast popularity has also spurred a fascination with real-life mech technology in Japan and beyond; the influence of realistic engineering and science on Gundam has in turn inspired generations to investigate whether it’s possible to adapt mecha technology for use in the military, or in civil services such as fire-fighting. In fact, this year alone, the Japanese ministry of defence set aside 7.5 million dollars for research into making military exoskeletons dubbed “Gundam.” Mobile Suit Gundam’s place in Japanese culture is just as much of a technological ideal as it is as a piece of influential media. Mobile Suit Gundam was released in 1979, and it changed everything. Series like Mazinger Z or Tetsujin 28-go (which would come to the west as Gigantor) had popularized the “Super Robot” genre. But at first, nobody appreciated Mobile Suit Gundam’s approach to giant robots as the tools of futuristic militaries for use in global wars, rather than superheroes fighting fantastical monsters. Mobile Suit Gundam was almost canceled before its run of episodes was even completed, but the sudden explosion in popularity of toy model kits based on robots from the series saw a huge spike in the series’ popularity. When Mobile Suit Gundam first aired in Japan, the only toys available featuring the robots from the show were “Chokogin” die-cast models made by Clover. Chokogin were extremely popular in Japan throughout the 1970s, but after Mobile Suit Gundam failed to catch on, Clover gave up the license. Bandai purchased the rights to make Gundam toys, but instead of making more die-cast figures, they made plastic model kits—kits that, after being constructed, made articulated, multi-colored models of the various Mobile Suits from the show. Unlike anything else on the market at the time, Bandai’s kits were wildly successful, prompting a re-release of Mobile Suit Gundam in Japanese theaters and repeat showings on television, reigniting interest in a franchise that had seemed to be over for good. Although Western audiences got their first taste of the “Real Robot” genre through Robotech’s arrival to the U.S in the mid-1980s, Gundam as a franchise would not find footing outside of Japan until the arrival of the seventh series in the franchise, New Mobile Report Gundam Wing. Following its airing in Japan in 1995, the series was translated for Western audiences as Mobile Suit Gundam Wing in 2000, and aired in both edited and unedited formats—a first for Cartoon Network and one of the first anime series in America to do so. Although Gundam Wing was not considered to be incredibly popular in Japan, it was a big hit in the U.S., sparking a new interest in the series that continues to this day, with new Gundam series being translated for Western audiences on a regular basis. At the time of its inception Mobile Suit Gundam was a revolutionary take on discussing allegories to War in Japan, even at a time 30 years after the end of World War II—and as time has passed, Gundam itself has evolved to tackle more debates than just the nature of war as the series has evolved. Debates about national identity, and even touchy issues like racism, have served as the thrust for the human conflicts of Gundam. Debates about the necessity of militarization have even been spurred by the series, another interesting subject given Japan’s own evolving relationship with its armed forces. For the Japanese, Gundam asks a lot of important questions that has helped to keep itself culturally relevant for decades, even while remaining a series that’s largely about giant robots fighting each other. What Makes a Gundam a Gundam? Although most Gundam series feature Gundams, the show’s definitions of what makes a Mobile Suit (the series’ standard descriptor for a humanoid mecha) a Gundam often differs—something that is usually split between the various timelines that exist within the franchise. Generally, a Gundam is a highly advanced form of humanoid mecha, operated by a single, usually specially-trained pilot, that uses a variety of armaments called “beam” weaponry: from guns that fire beams of energy rather than bullets, to lightsaber-esque “Beam Swords” that usually far outmatch the armaments of normal Mobile Suits. But sometimes the name “Gundam” itself refers to a variety of different definitions. In the original Mobile Suit Gundam, it was a name for all of the Earth’s mecha. In some series, such as Gundam Wing and Gundam X, Gundams are made of special metals that make them far stronger than conventional mecha. In Gundam SEED, the name refers not to the actual mecha, but its specialized operating system. 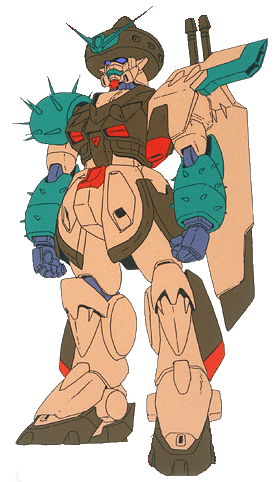 Above all though, what usually makes a Gundam stand out from a regular Mobile Suit is its color scheme. 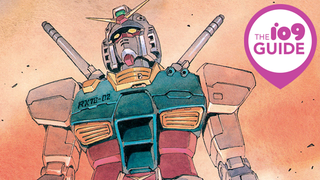 Although many Gundam across the series have come in a variety of colors, each series has a main mecha that is colored in predominately white armor with blue, red, yellow and gold accents—an homage to the color scheme used by Mobile Suit Gundam’s original Gundam, the RX-78-2, designed by Kunio Okawara. But despite the fact that Gundam has spread itself across all these different timelines, the vast majority of the series have shared a thematic core that ties Mobile Suit Gundam as a franchise together, beyond the trademark Gundams themselves: the interplay between Earth and its colonies over the right to self-rule, and an exploration the human side of global conflict (both in terms of soldiers and civilians). Even though each different Gundam often shares thematic similarities, though, picking a good starting point to enter the franchise is still important—oftentimes, the way Gundam approaches these big themes can be reflected in the time period each series was created in, so it helps to have some context to better understand each particular series you’re getting into. It also helps on an aesthetic level—some of Gundam’s best storytelling can be challenging to experience as a newcomer, due to it being presented in now-dated animation styles. Many of these timelines only have one series to their name, essentially making them quasi-spinoffs to the larger series. But here’s the skinny on some of the more important timelines which have been the most developed in the Gundam universe, and a few of the most notable standalone series. The Universal Century timeline is by far the most expansive in the franchise, with 14 full TV series, movies, and Original Video Animation (known in Japan as “OVA”, direct-to-video releases) miniseries coming under its banner. Universal Century is meant to embody the key thematic ideals of Gundam as a franchise: set in a near future where technology has helped unite Earth into a global federation that has expanded its civilization into space through colonization, political maneuvering leads to the principality of Zeon—a militaristic country that has developed giant mecha technology—seceding from the Federation and declaring war on the rest of Earth. This timeline rigidly sticks to the more military-focused aspects of Gundam, rather than some of the more fantastical science-fiction elements the series would go on to be known for, telling a pure war drama between the embittered forces of Zeon and the Earth Federation. Some fans regard most of the Universal Century series as skippable, because the vast majority of series and movies in the timeline are from the 1980s and appear dated. But there are still some versions of the Universal Century that are easy for newcomers to get into: There’s the recently released Gundam The Origin movies, which are adaptations of a lengthy manga series that serves as a prequel to the original TV show. Equally newbie-friendly is the highly-rated The 08th MS Team, a 12-episode miniseries that focuses on the human soldiers in a war between giant Mobile Suit robots. The Universal Century line also has two direct sequel timelines set thousands of years after its events, the only timeline in the franchise to do so: The Regild Century, featured in 2014’s miniseries Reconguista in G, and the Correct Century, featured in 2000’s Turn A Gundam. Turn A Gundam’s attempt at creating continuity is particularly infamous among fans. The series is set in a faraway future where Earth technology has reverted back to the level of the late 19th/Early 20th century (save, of course, for the highly advanced Gundam suits). But the series also attempts to fold every single Gundam series into a singular, cohesive timeline—with this timeline even being updated to include series that aired long after Turn A Gundam. But many fans have chosen to ignore this attempt to over-explain the already vastly confusing franchise. Many Western Gundam fans’ first introduction to the series came from the After Colony timeline, and its one and only series: Mobile Suit Gundam Wing. As the first Gundam show to be translated and aired in the U.S., Gundam Wing is credited with popularizing the franchise as a whole outside of Japan, making it a worthy introduction point even today. Thematically similar to the Universal Century on a larger scale, After Colony shifts the conflict from a fight between a united Earth and a standalone country to a war between Earth and all of its oppressed space colonies. And instead of Gundams being Earth’s first line of defense, they’re specially designed Mobile Suits sent by the Colonies to wage war on Earth while the Colonies attempt to declare independence. There’s no direct continuation of Gundam Wing—but there is one spiritual successor, in the Anno Domini timeline’s Gundam 00. Made in 2007 (and the first Gundam made for HD), 00 shares a similar premise to Wing in the fact that it focuses on a small group of Gundams being sent to Earth to disrupt the planet’s armies by a paramilitary organization called Celestial Being. Although a weak second season fails to capitalize on the series’ strengths, Gundam 00 is a natural, and more modern, stepping stone for fans who are only largely familiar with Gundam Wing. Although Gundam is largely a franchise based around futuristic war dramas, the vast banner of titles is also home to some pretty out-there standalone series. There are some shows that flip the Gundam premise entirely on its head—or in the case of one particularly infamous example, go absolutely bonkers. As far as flipping the script on Gundam, the most notable entry is the After War timeline and its standalone series Gundam X. Gundam X isn’t a grand story about giant robots, but a post-apocalyptic survival story that focuses on a small group of wasteland-bound humans in the wake of a cataclysmic global war—one that just so happens to occasionally feature a giant robot. It’s very good, but is probably better suited to someone who is already a fan of Gundam, rather than a newcomer. Likewise, there are three recent series that are outside of the Gundam timeline altogether: Model Suit Gunpla Builders Beginning G, Gundam Build Fighters, and last year’s Gundam Build Fighters Try. These three series are more of a meta-narrative spinoff of the whole franchise, as they are actually about Gundam fans who build Gundam model kits and use the toys to fight VR battles with each other—and, like Gundam X, are perhaps better appreciated by fans already familiar with Gundam as a whole. Finally is perhaps the strangest—and certainly most unique—entry in the franchise: Future Century’s G Gundam. Heavily influenced by martial arts anime and released as an attempt to revitalize the popularity of Gundam, G Gundam rejects the large-scale warfare of the Universal Century timeline, and instead concocts a future where the different nations of Earth have fled into space, and they use Earth as a battleground for a martial arts tournament featuring Gundams representing each country. 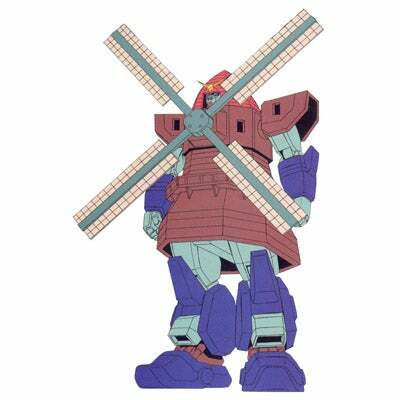 Each Gundam is essentially a ridiculous racial stereotype, such as Mexico’s sombrero-wearing “Tequila Gundam”, or the Netherland’s “Nether Gundam”, which has a Windmill for a body. Suffice to say, G Gundam was wildly unpopular upon release for its vastly sillier tone, and remains divisive to this day. While it’s not exactly the best starting point for a Gundam newcomer, it’s worth watching simply for its sheer ludicrous send-up of the franchise as a whole. There’s much more to the world of Gundam than what’s mentioned above, but this should help serve as a guide into taking your first steps into, or re-connecting with, one of the world’s most esteemed anime franchises—a franchise that not only gives you amazing moments of mecha action, but also one that isn’t afraid of exploring the human side of worlds and societies where said giant mecha exist. Gundam’s greatest strength is its focus on the human aspect of “Real Robot” anime, and that’s the reason why it’s endured for over 30 years.